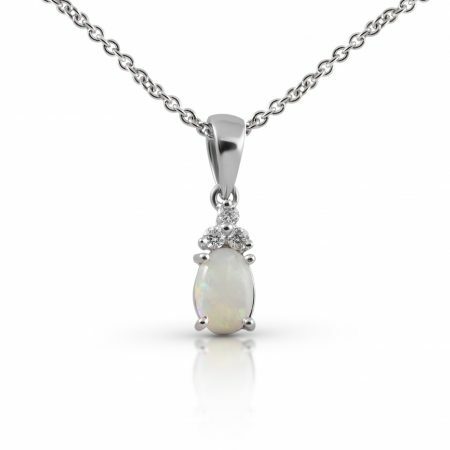 An 18K white gold opal and diamond pendant. 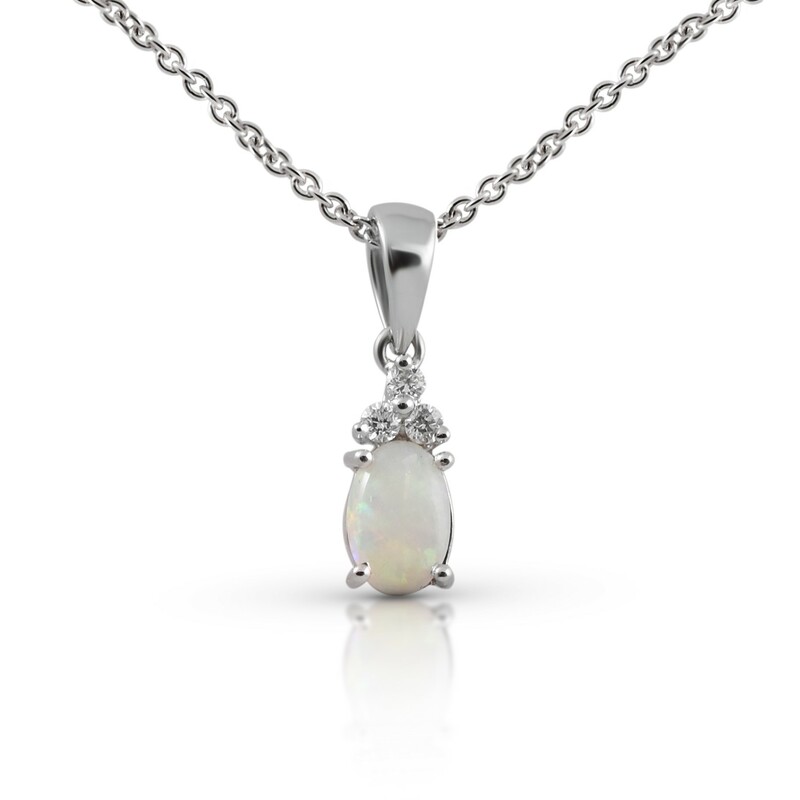 Featuring a four claw set 0.29ct oval cut opal and three round brilliant cut diamonds. Looking for opal earrings? View the here.